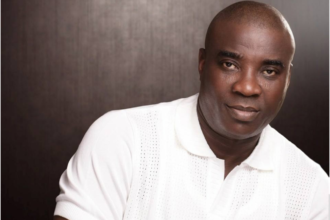 The irrepressible fuji music icon, Alhaji Wasiu Ayinde Marshall a.k.a. K-1 De Ultimate, is at it once again. He has just dropped yet another breathtaking audio of a hit entitled ‘State of The Nation’. The new album, dedicated to the Awujale of Ijebuland, HRM Oba Sikiru Kayode Adetona, is K-1’s way of lending his voice to various challenges Nigeria is passing through at the moment. The album also features a special dedication by the Waka music Queen, Alhaja Salawa Abeni. The special introduction for the album featured Olamide and new Queen of Hip-Hop, Honey B. It is now time to pull over and enjoy the new song.